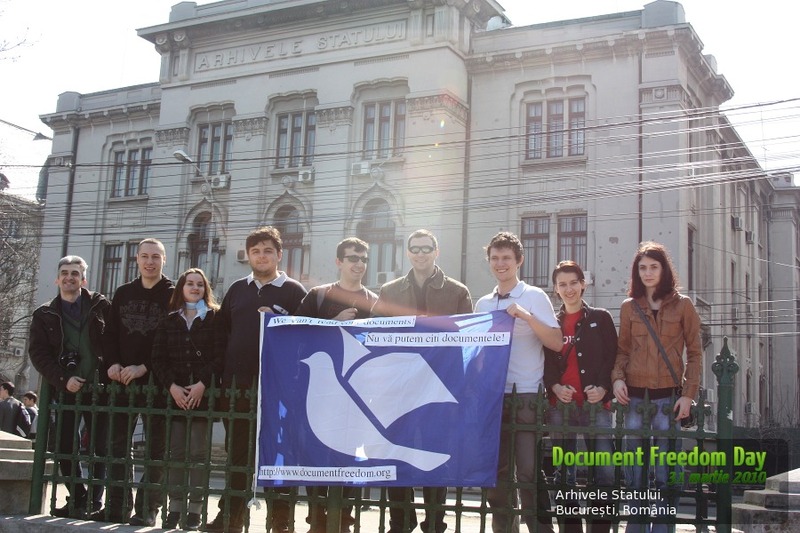 For the 2010 edition of the Document Freedom Day, a group of 10 enthusiasts, a flag, a camera and a photographer got lose on the streets of Bucharest in a nice, sunny, spring day taking a bunch of photos in front of a number of buildings of the Public Administration with a simple message: Nu va putem citi documentele! / We can't read your documents!". 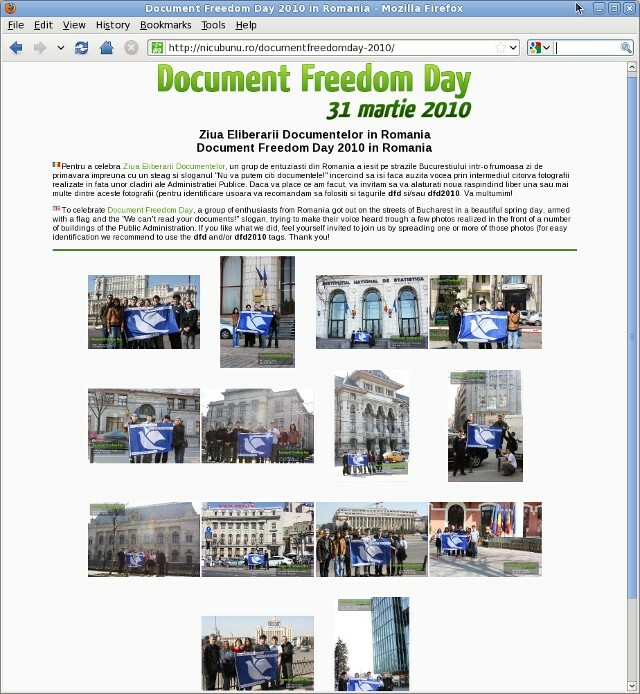 Today, on the Document Freedom Day / Ziua Eliberarii Documentelor, if you like our idea, be invited to goo to the page, choose one or more photos that you like and spread them in any way and any media you see fit (the photos are freely licensed as CC-BY-SA).